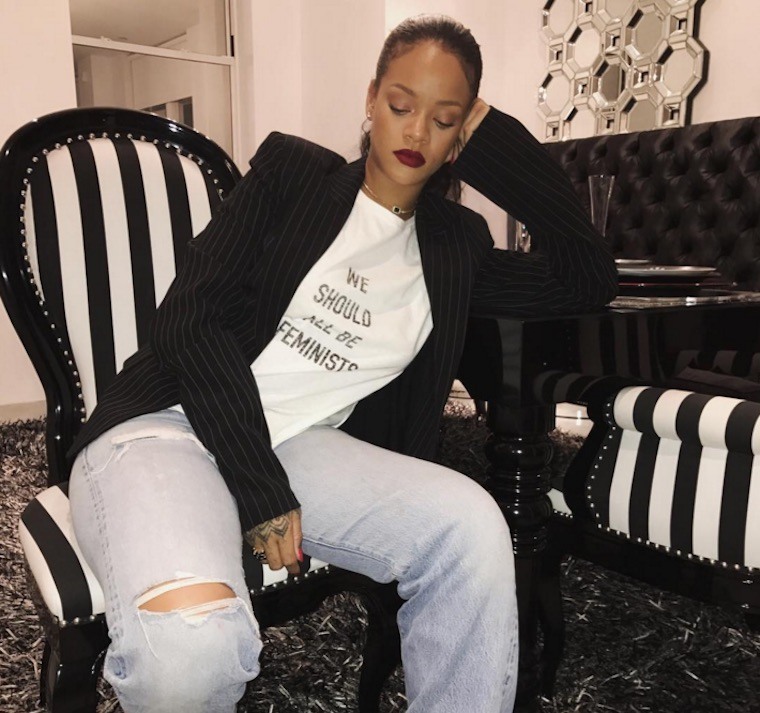 When it comes to athleisure, Rihanna has the magic touch. Sell out sneakers four separate times in under three hours? Been there. Show a full-on sport collection with Puma on during Fashion Week? Done that. In fact, everything she sells for the sporty brand goes full Birkin-bag status almost instantly. But for her to keep her waitlist wunderkind status with her latest Puma collaboration, you’re going to have to dig a lot deeper into your wallet. Debuted this month (without much promotion at all), the latest Fenty x Puma collection takes athleisure to the next (luxe) level—with everything from a $230 velvet t-shirt and $1,600 bomber jacket to a $1,800 faux fur hoodie. Compared to her most recent launch with the brand—which included $80 t-shirts, $150 sweatshirts, and $300 jackets—this is a huge jump not only for the singer’s collection, but a major step into the world of high-end fashion for the brand. Whether or not it rivals the popularity of the Creeper, the collection is definitely a huge step into the world of couture for the sportswear brand. Scroll down to see the outrageously stylish pieces, all available online now. If this collection has you feeling your swagger, here’s a five-minute body burn that’ll let you throw some (badass) punches—plus the best post-workout way to use foam rollers to get the most out of your punching and jabbing.